Zachary Morris is an associate in the Commercial Finance practice. 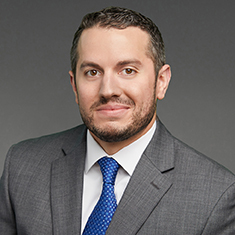 Prior to joining Katten, Zachary was an associate general counsel at a financial services firm that focuses on the servicing and management of distressed and reperforming mortgage-backed assets. Before that, Zachary was an attorney at the Illinois Legislative Reference Bureau, where he provided legislative counsel and drafting services to the members of the Illinois General Assembly. Shown below is a selection of Zachary’s engagements.